A lovely and simple vintage necklace. The necklace is designed with a graduated form and a neat little silver clasp. 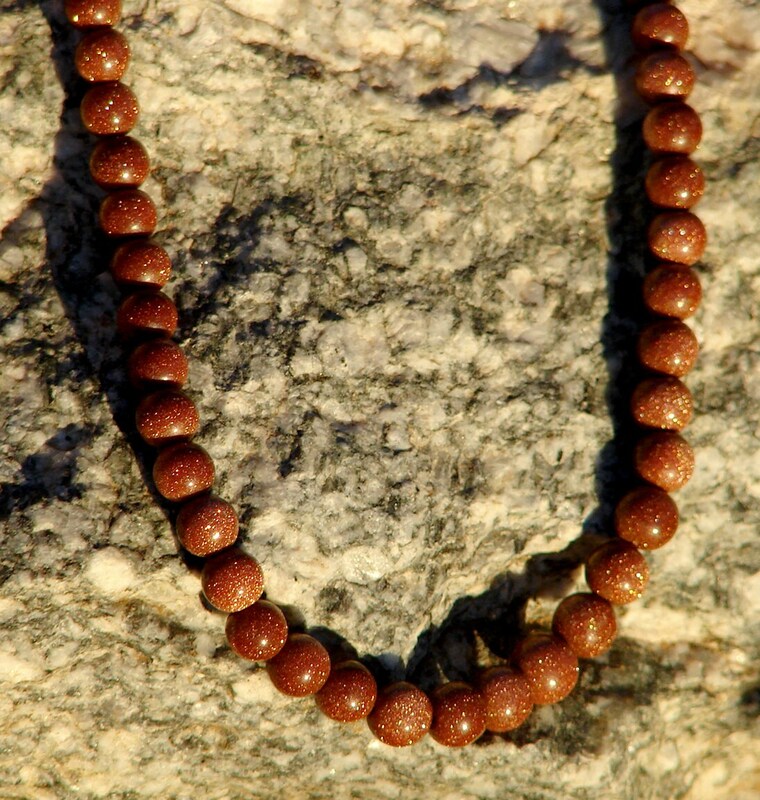 The beads are "Goldstone", which is a man-made stone dating back to ancient times. 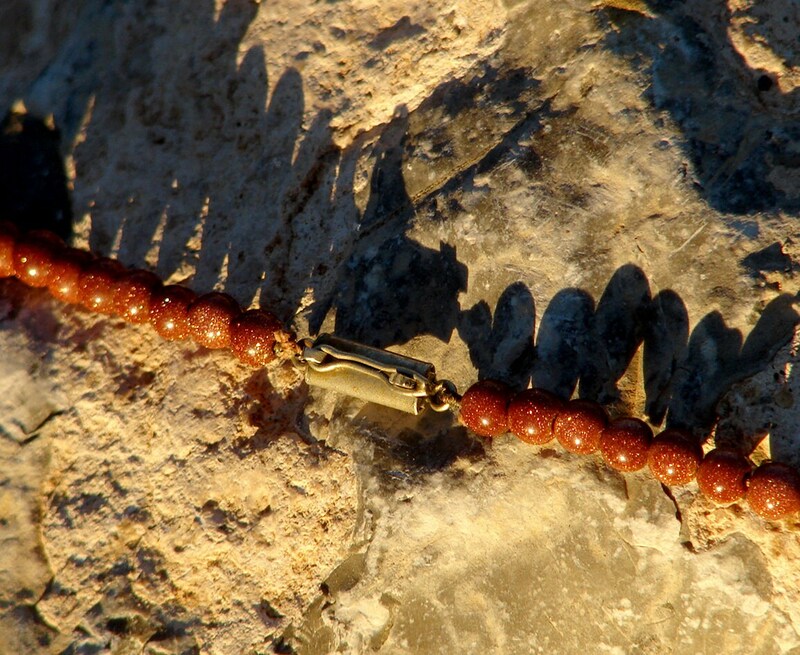 Apparently the by-product of alchemical attempts to make gold, Goldstone comes in a variety of colors. 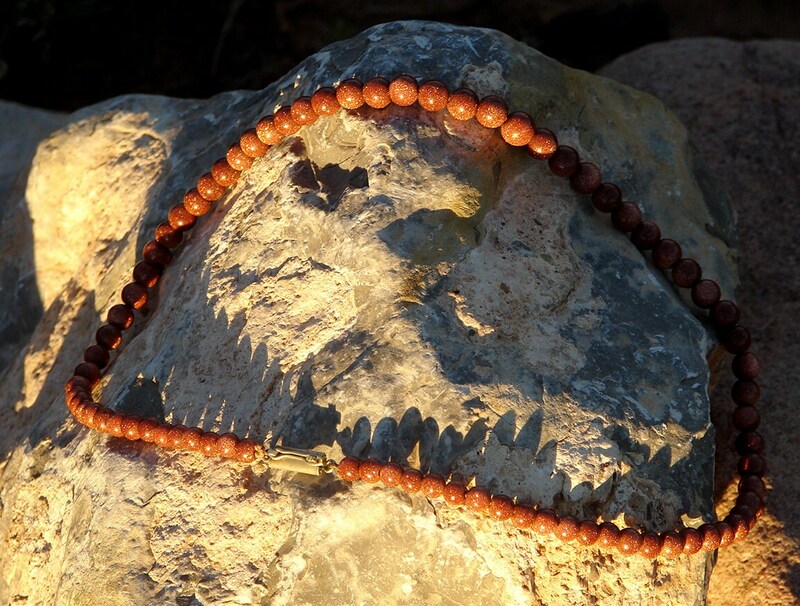 The beads in this case are a copper color, with glittery flakes throughout. There are no markings or indications of specific age, but if I had to guess I would say it's mid-century vintage. 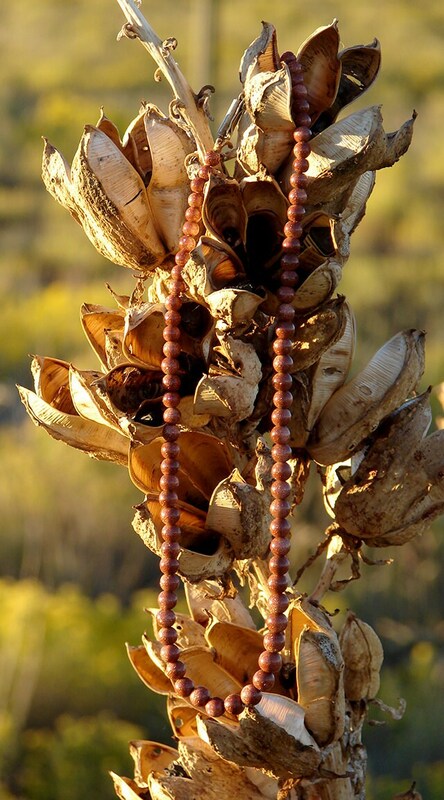 This necklace is 17' long.